I established Illuminarity Ltd in 2011 to satisfy my own love of helping people develop and achieve things that they hadn’t thought possible. I aim to provide an affordable way of improving long term performance, not just short term benefits. Clients come from a range of sectors and use Illuminarity for business coaching, personal development, career coaching and bespoke management training. I work with individuals, teams and businesses in Lincolnshire, Cambridgeshire, Nottinghamshire and further afield. To see how people have benefited, please take a look at the testimonials. The name Illuminarity is a blend of illuminate and clarity - illuminating potential and giving clarity on the way forward. Ruth works to improve the effectiveness, skills and motivation of individuals and teams. 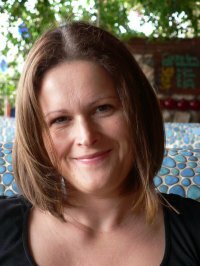 She has worked successfully across the public and private sectors and prior to setting up Illuminarity Ltd in 2011 spent 13 years in marketing and management roles. This business insight and broad sector experience helps Ruth to get underneath issues and make a real difference to the skills and abilities of both managers and aspiring managers; giving them and their teams an opportunity to thrive. 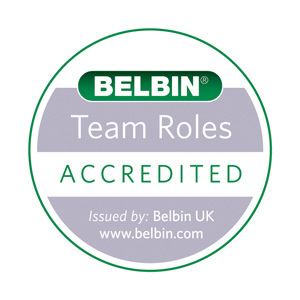 Ruth is accredited as a Corporate & Executive Coach by The Coaching Academy, an accredited Belbin Practitioner, an Associate Member of the Association of Coaching and a Member of the Institute of Leadership and Management. Ruth is a proud Mum, loves walking and exploring the countryside with family and friends, settling down to a good book, horses, skiing and running. Chris is an associate of Illuminarity, we work together to develop and deliver programmes. Following 20 years in the Royal Air Force and two years as Director of Business Development in a commercial management and training consultancy, Chris now provides training, development, facilitation, coaching and change management services across all sectors of the economy. He runs his own business and provides services for clients such as: GlaxoSmithKline, Philip Morris International, Walkers Snack Foods and Dairy Crest, amongst many others. And in the public sector he has worked for the Department of Health, Ministry of Defence, the Training and Development Agency for Schools and numerous local government organisations and primary care trusts. Chris is a Fellow of the Chartered Institute for Personnel and Development (FCIPD), accredited as a coach by The Coaching Academy and licensed to work with the Belbin Team Roles methodology. Outside work, his interests include skiing, rock climbing, mountaineering, playing golf and travel. To have a chat about how we can help you, from facilitation and training to executive and career coaching, call 07923 289127 or email me on ruth@illuminarity.co.uk.